It can be really difficult to tone your trouble zones especially if it is your inner thighs and legs. Is it an impossible task? We do not think so! And that is why we would like to show you this amazing leg training routine that can work on your hard-to-reach muscles and build flawless legs and lean thighs. You should incorporate these fat burning moves to your workout routine in order to obtain unbelievable results in no time! 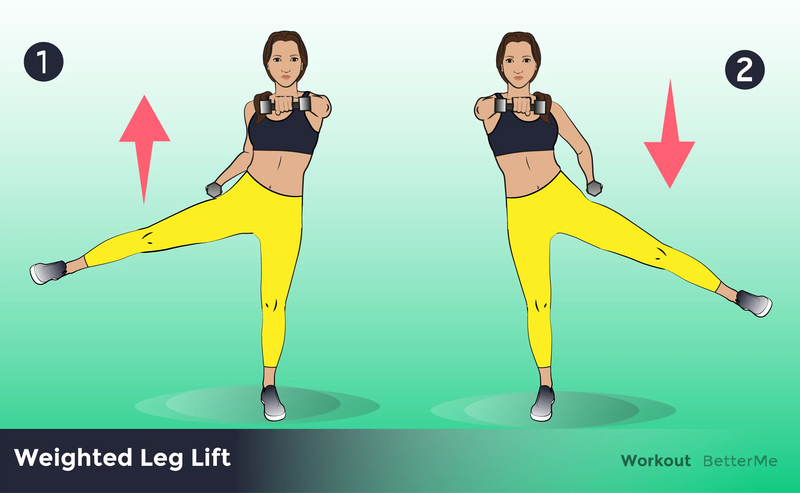 This fifteen minute workout consists of five inner thighs moves such as bent knees bent knee inner thigh lifts, standing inner thigh squeezes, gliding side lunges, sumo squat with bicep curls and attitude to side sweeps. These exercises targeted at sculpting your inner thighs and strengthening your core. You should perform each move for one minute and repeat the entire set three times! If you want to achieve your weight loss goal quickly you should do this training routine four-five times a week combining it with cardio training routines such as jogging, swimming, boxing or tabata training. This workout is good for those who cannot put aside the work and share some time to training routines as it doesn't take much time and can be easily performed at home. Another advantage of this workout is that you do not need to buy any sports equipment to start this workout. That would not only save your time but also allows to save your money. So what do you think? Are you ready to try it? If your answer is yes, scroll down to see the instructions in order to avoid injuries. By performing these amazing exercises you will tone that trouble areas and make your legs appear leaner.